Lindie Lou has no idea what an organic farm is like. While visiting Cousin Ronda, she discovers a whole new way of living. Running through a soybean field is freeing, but when Lindie Lou meets up with family and friends, her adventure takes off. 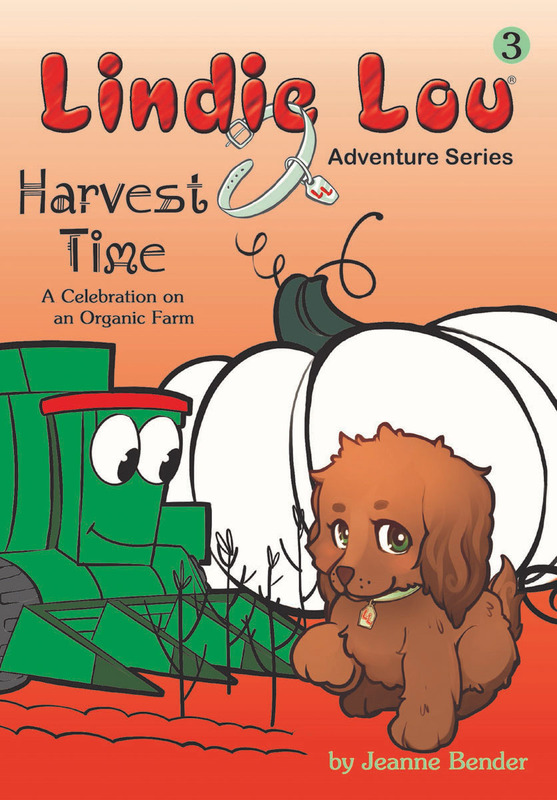 Lindie Lou accepts the thrill of a hayloft, the challenge of a corn maze, the excitement of a harvest celebration, and the dangers of a combine. She learns important life lessons while interacting with family and friends. They play together, face challenges together, get in trouble together, even save each other's lives! Jeanne Bender loves to travel. While exploring the world, she experienced many incredible things. Bender decided to write about her adventures through the eyes of her puppy Lindie Lou. Lindie Lou traveled with author Jeanne Bender to many places around the world. Their experiences became the inspiration of the Lindie Lou Adventure Series. Bender's education began early on when she received high praise for her poetry and early composition. Later she studied with a creative writing professor in Seattle, Washington, and continued her education in the United Kingdom at Oxford University. Bender's beginning chapter books titled the Lindie Lou Adventure Series, were first introduced to elementary school students grades K-5. Bender first experienced "Lindie Lou mania" when students told her they loved her stories and the characters wanted to read more about them. Everywhere Bender went she was humbled when children lined up to buy her books.